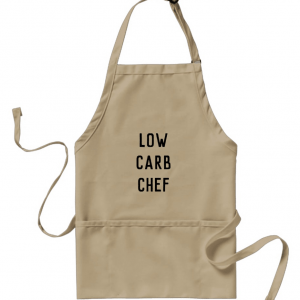 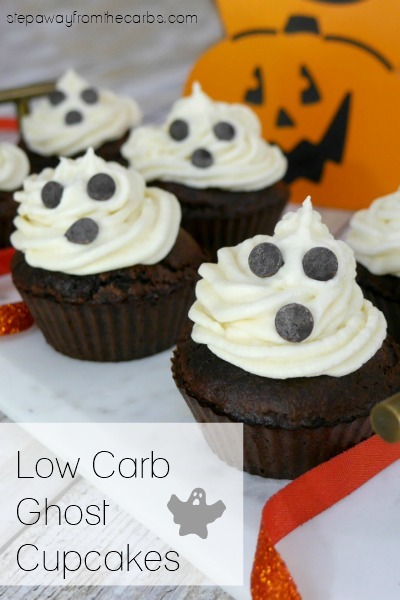 Here are some fantastic low carb Halloween recipes! 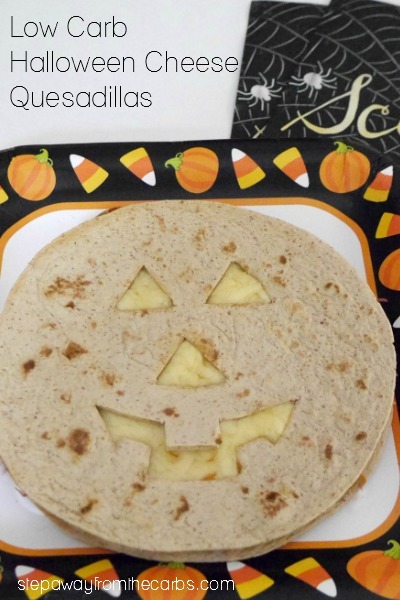 Let’s get ready for a spooky party!!! 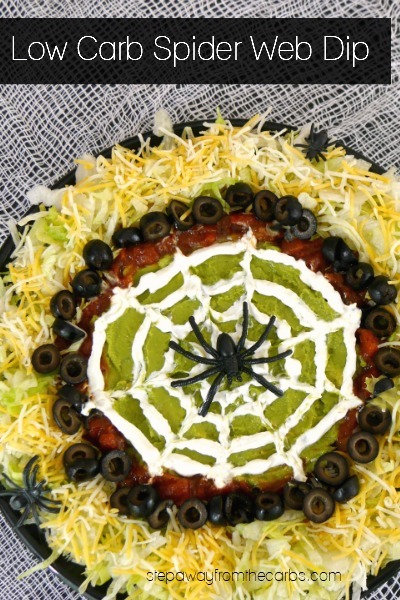 Spiders and ghosts and bats, oh my! 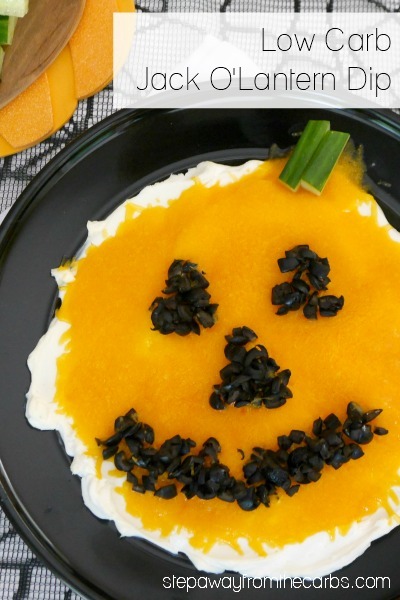 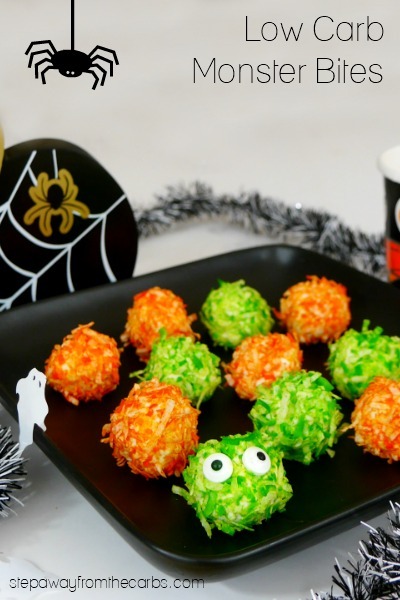 Whether you’re planning a Halloween party, or want to make something fun for the kids – here’s a whole bunch of low carb Halloween recipes to try! 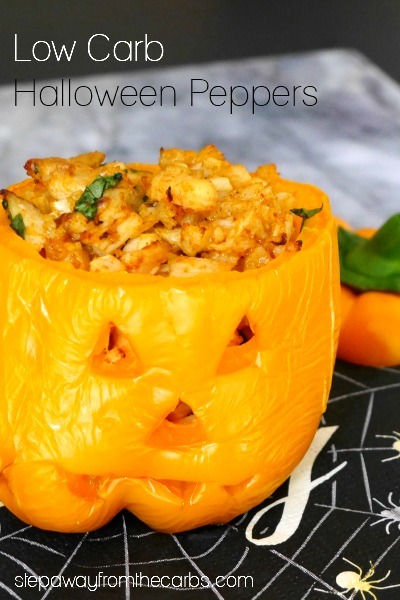 There are dishes like Jack O’Lantern Stuffed Peppers, Halloween Quesadillas, Halloween Jalapeño Poppers – and more! 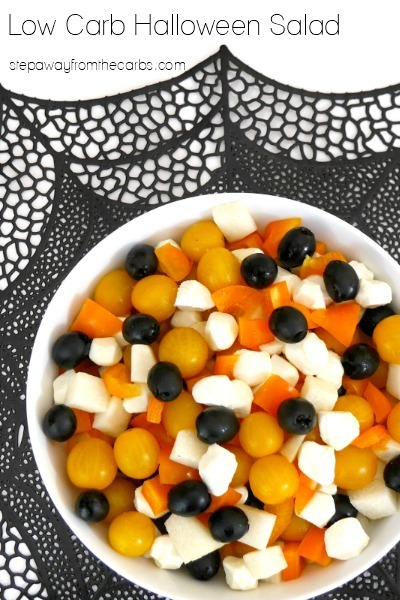 Food dye – especially green and orange! 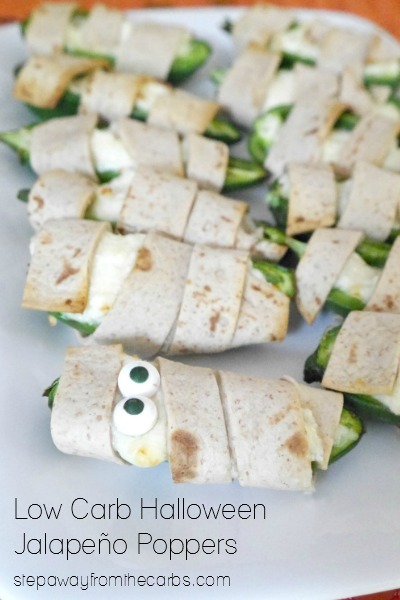 Edible googly eyes – use sparingly but great for a hint of decoration! 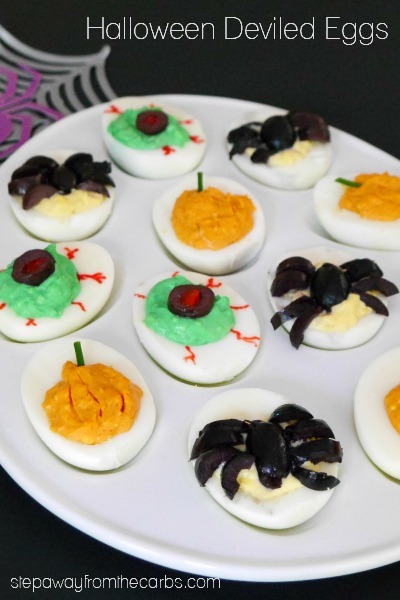 Deviled egg platter – essential for serving this Halloween themed appetizers! 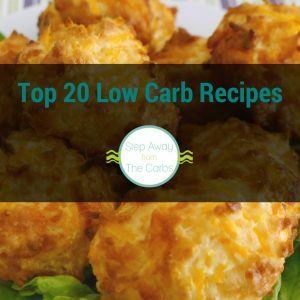 Black olives – as one of the only low carb naturally black-colored foods – they’re super useful! 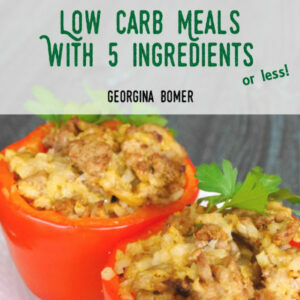 So here are the recipes! 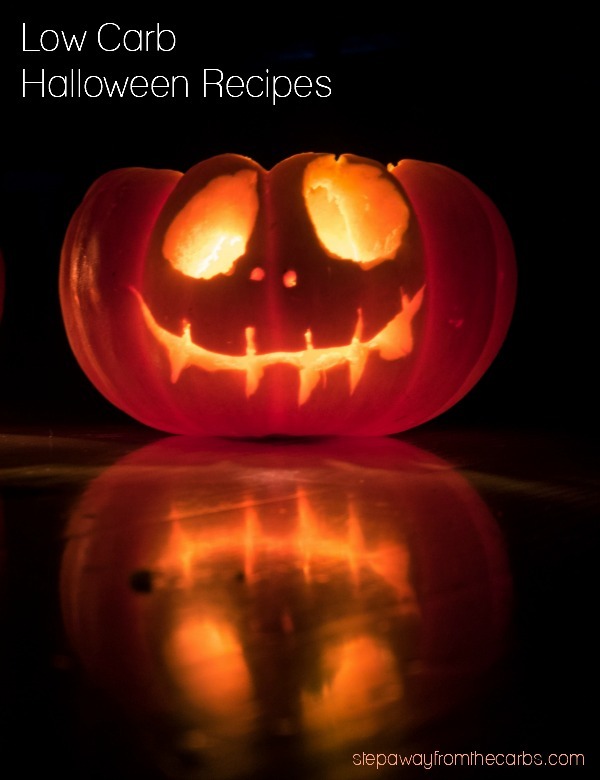 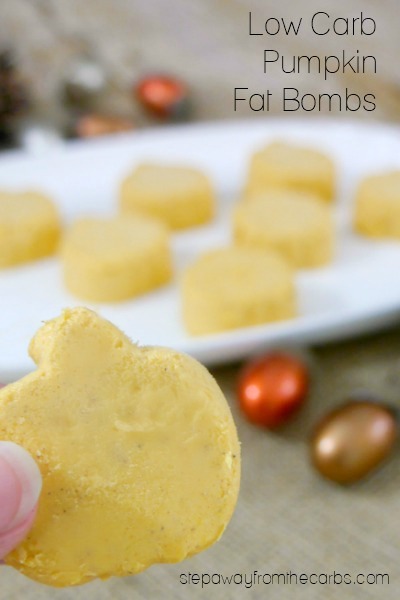 Each year I’ll be adding to this list, so be sure to pin or bookmark this post and come back to it when you’re ready to plan your Halloween food! 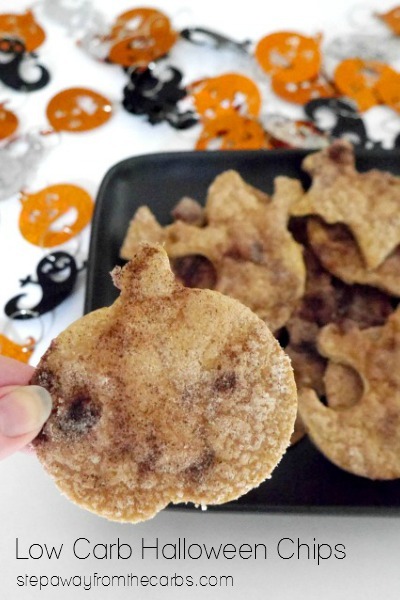 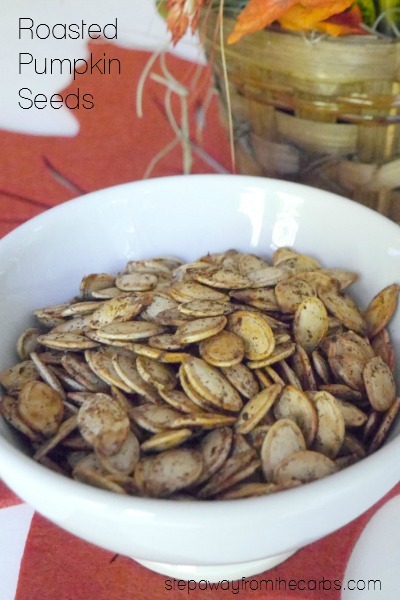 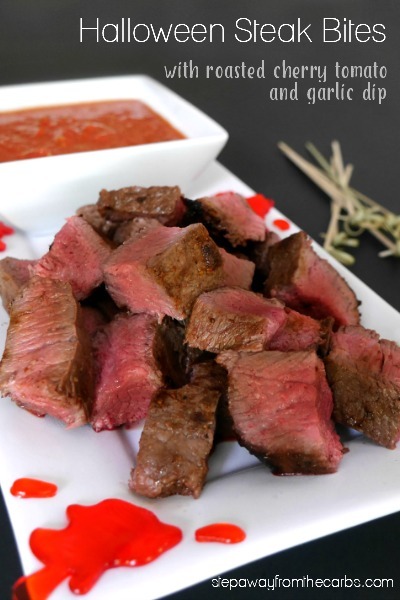 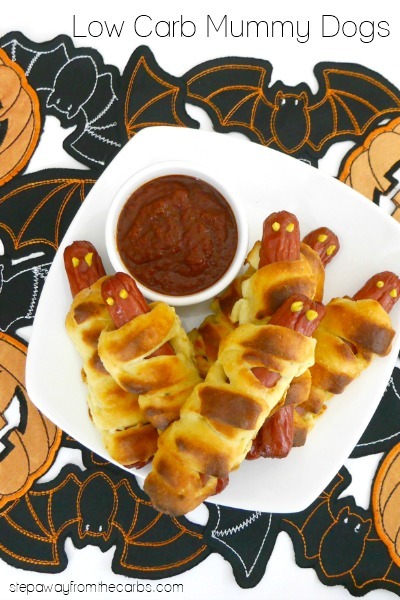 If you want more low carb Halloween inspiration – check out my Pinterest board!